Pre-registration event at the Placerville Clubhouse, Friday, April 12th at 5:30pm. Please join us for Club tours, dinner, and be the first to register for Summer 2019!! Spaces fill up fast… you won’t want to miss this special pre-registration opportunity! General Summer 2019 registration opens April15th. 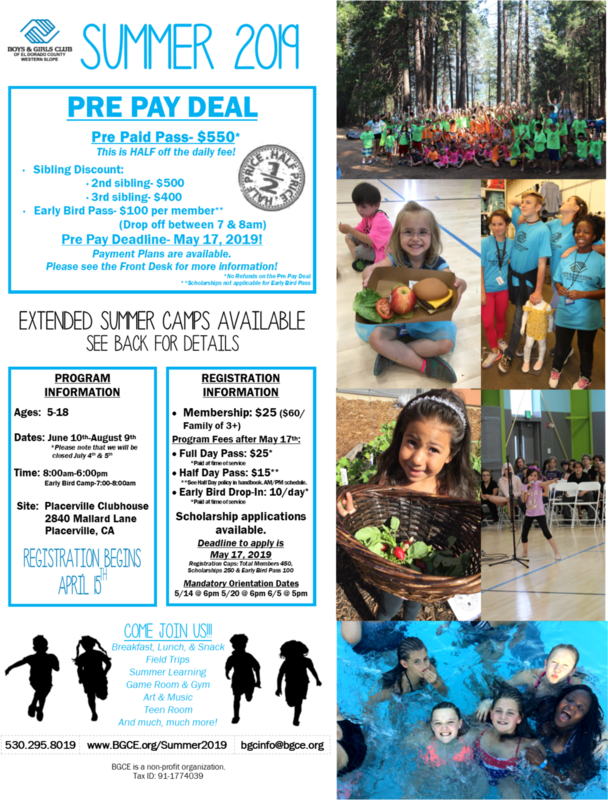 Please contact the Front Desk at 530.295.8019 or email bgcinfo@bgce.org with questions or for more information.